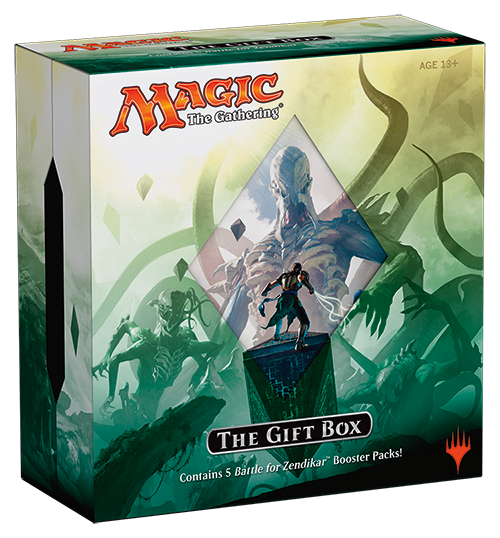 The Eldrazi are coming . . . for the holidays. And they're bringing a present! Intimidated yet? Gideon doesn't look like he is, but maybe he should be. We're not yet ready to show you the alternative-art promo card just yet, but we'll be showing it off when previews start in September.